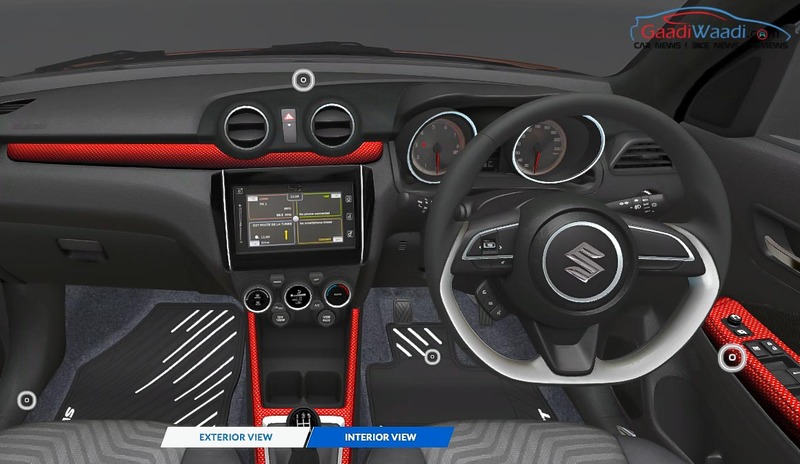 Maruti Suzuki officially showcased iCreate Customisation Accessories for new Swift at 2018 Auto Expo and it is already available on Vitara Brezza and Ignis. 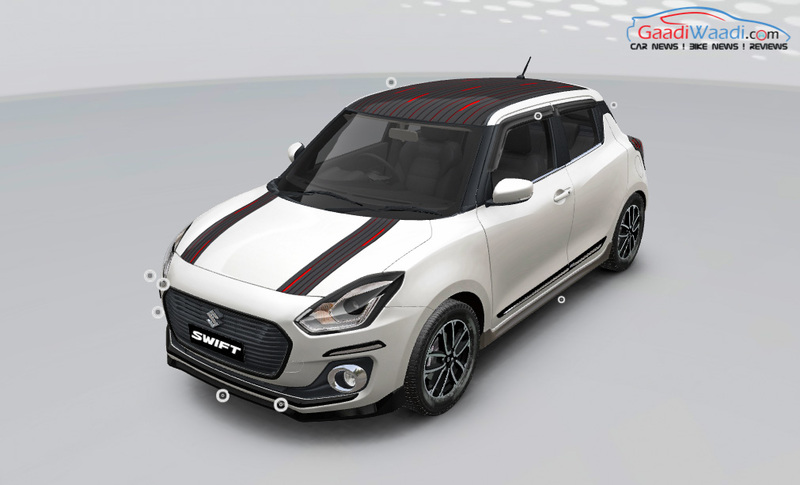 The Indo-Japanese manufacturer officially revealed price for exterior and interior accessories of Swift and people can use iCreate configurator on the official Maruti Suzuki website to create a virtual model with the accessories that also show’s the prices of each accessories. 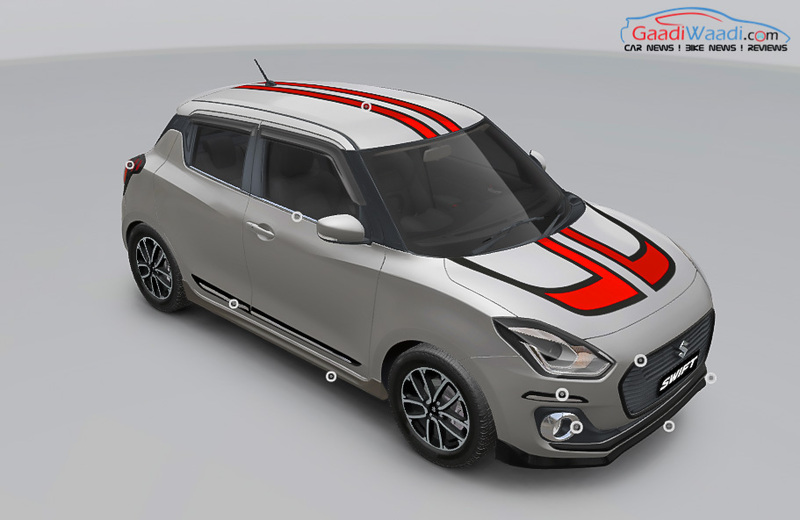 Maruti is offering lots of exterior accessory kit for Swift and the most expensive one is the exterior styling kit, which will set you back by Rs. 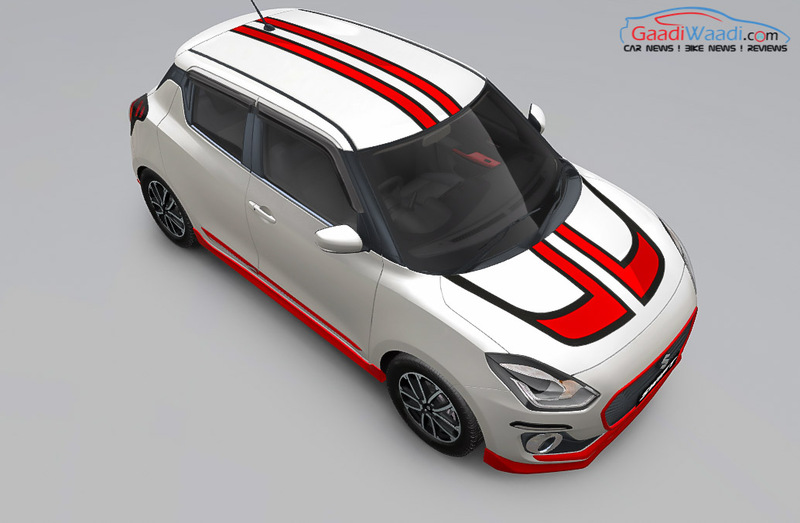 15,900 as it include custom stickers on hood and roof with different design also, which will certainly make the Swift stand out especially in white colour. 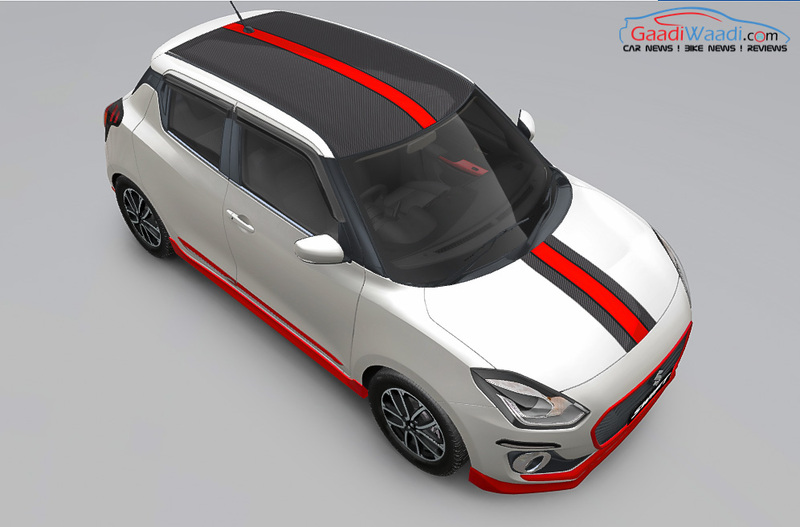 The exterior accessories also include roof wrap, body side moulding, door visor, fog lamp garnish, window frame kit, garnish on front bumper and grille, tail lamp garnish and bumper corner protector. 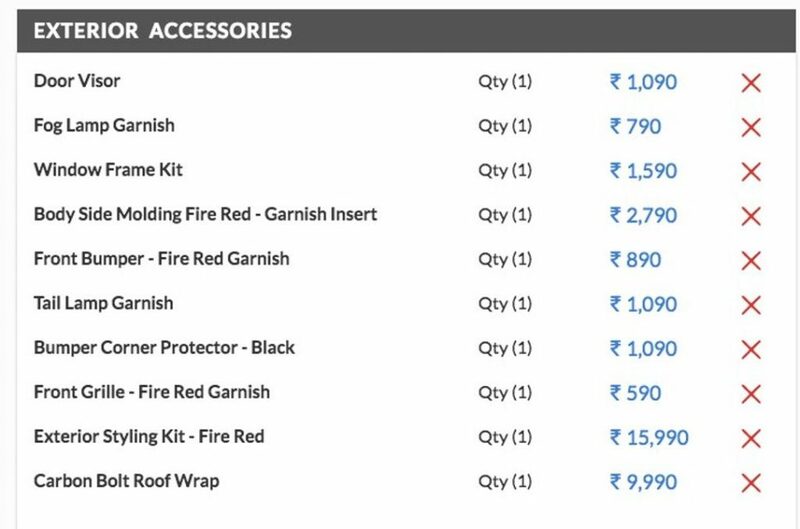 The total cost of exterior accessory package is Rs. 35, 900 and it is officially provided by the company, so customers don’t want have to worry about warranty. 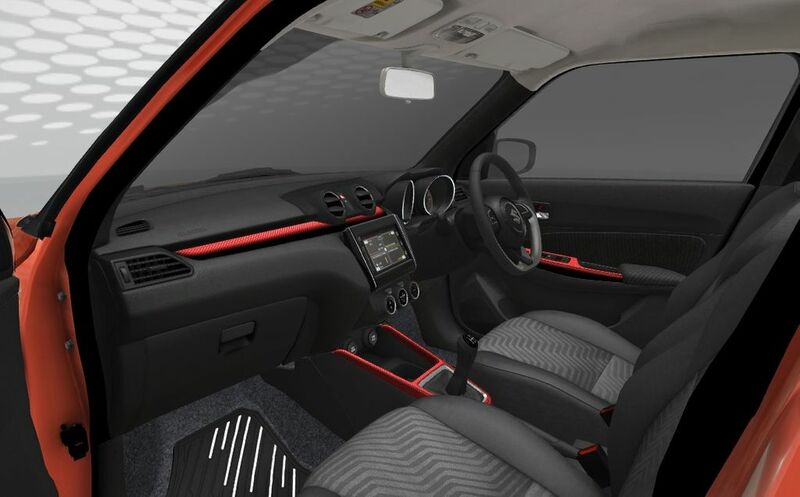 The iCreate Customization is also available for interior as the company offer contrasting interior styling kit in different colours, interior flocking kit, illuminated door sill guard and designer mat. 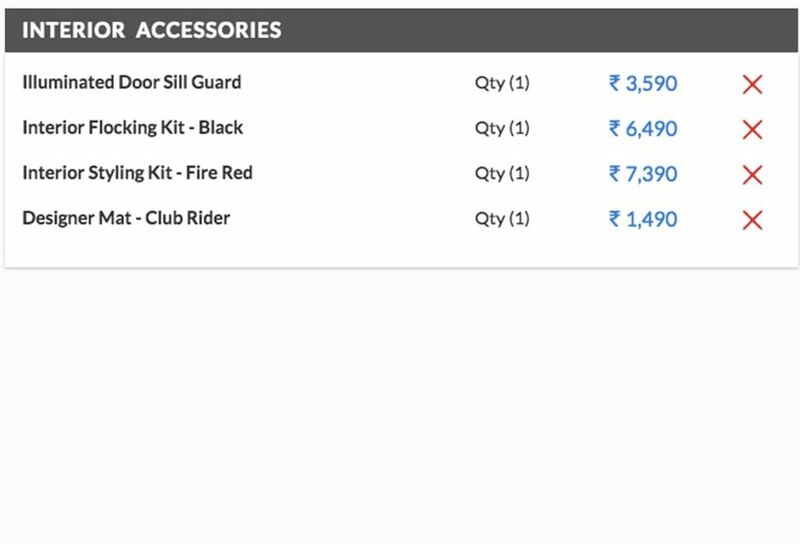 The total cost of interior customization is Rs. 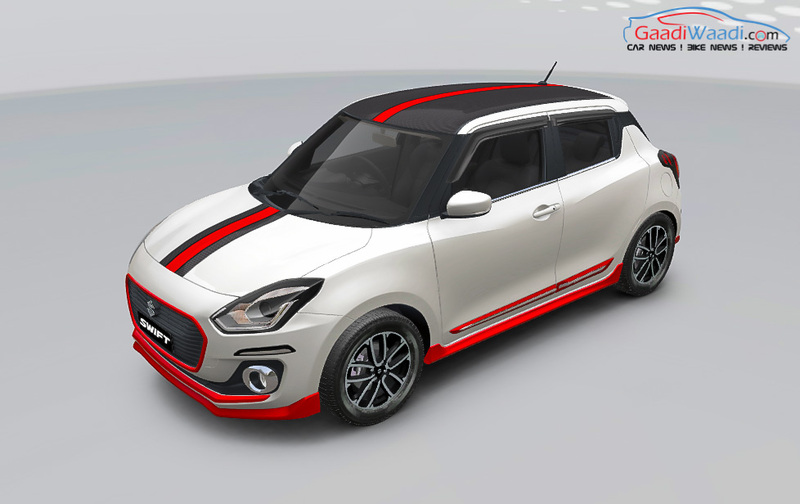 18,960 and these accessories increase the sporty appeal of Swift. 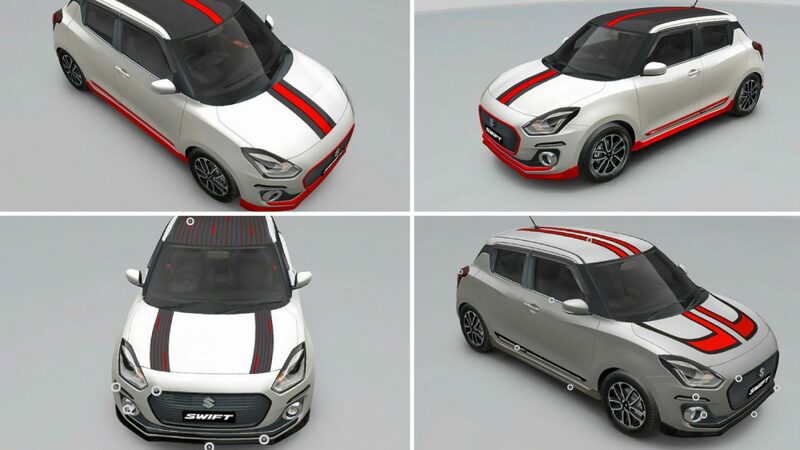 Maruti Suzuki Swift is one of the most popular hatchbacks in the country and the third generation model is racking up good numbers as the company has received more than one lakh bookings already. The waiting period for Swift is increasing and top end variants are more popular among customers. 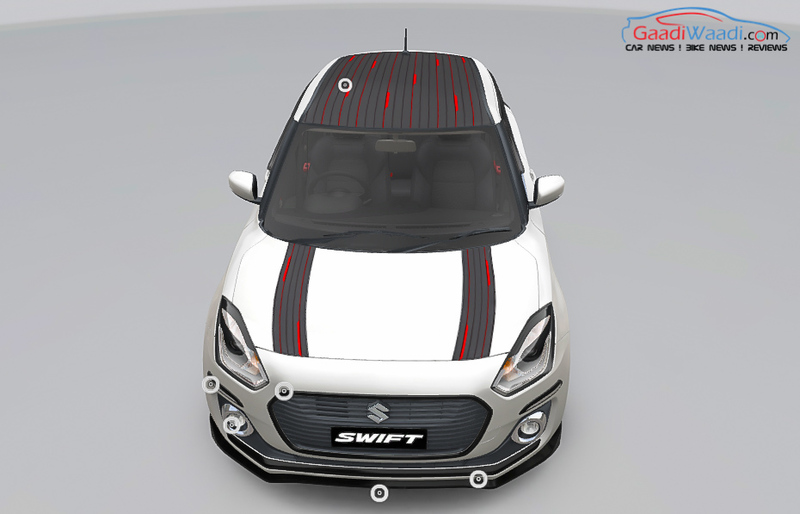 The Swift is loaded with lots of features like touch screen infotainment system with Apple CarPlay and Android Auto, climate control, key less entry, push button start, steering mounted control, projector headlamps, LED DRLs and more. Maruti is offering Swift in both petrol and diesel engines, it compete against Hyundai Grand i10 and Ford Figo.